The Kentucky Concrete Pavement Association (ACPA-Affiliate) is a non-profit organization representing the concrete paving industry in Kentucky. The state association is recognized by highway officials, engineers, contractors, and paving experts as the state voice for the concrete paving industry. 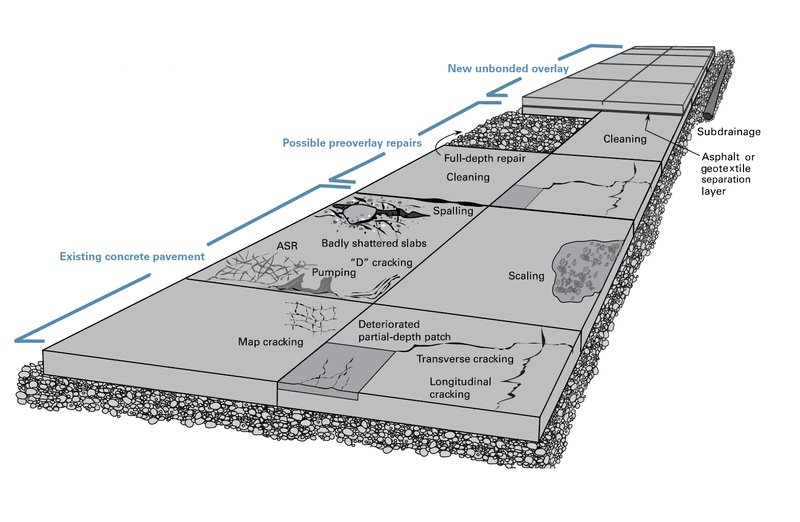 KCPA can provide further education on material considerations for long-lasting concrete overlays, and will gladly review potential projects to identify which option(s) are best for your situation. For more information, please contact us. We are a non-profit organization representing the concrete paving industry in Kentucky. Our membership includes contractors, materials suppliers, equipment manufacturers, and other firms providing essential services to the concrete paving industry. Our purpose is to improve and extend the use of Portland cement concrete in the construction of pavements and to assist the cement and concrete paving industries in technical, educational, and promotional aspects, ensuring continued successful use of the material with economy to serve the needs throughout Kentucky for pavement construction. Copyright © 2016-2020 Kentucky Concrete Pavement Association. All rights reserved.